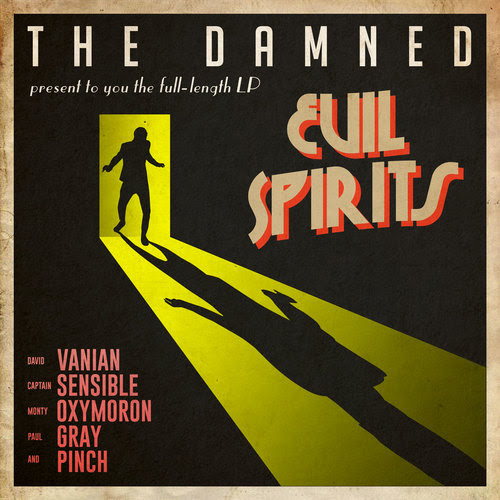 In April, iconic punk band The Damned will release their new album, Evil Spirits, which was produced by legendary producer Tony Visconti. “We deliberately recorded the album retro style,” guitarist Captain Sensible said in a press release. “The same way our debut album was made, basically. There’s something wonderful about the seventies sounds; glam, rock and punk records, they all sound so great and Tony specializes in beautifully crafted old school production. He had us all playing live, bashing it out in the same room with a focus on getting the initial band version of each song as close as possible to the finished thing." “This album is filled with a lot of influences from our earlier, pre-’70s tastes – the ’60s stuff. ‘Standing…’ is really linked into Joe Meek, ‘Telstar’, and that kind of stuff,” continues Vanian. At first, I’d said in an interview before we started writing this stuff that the album would be psychedelic, and maybe a trip through the historical side of The Damned, as in what we like. It didn’t happen in the way I thought it would, but it still does the same thing. It still has all that in there, but it’s not as obvious as it could’ve been, which is good. It’s not like pastiches of songs you remember, it’s more a case of, what was great about something you loved as a kid has somehow influenced a guitar sound, or the way the drums are. You might not even know it if you’re one of our younger fans, but if you’re a little older, you’ll hear it, which is kinda cool," singer Dave Vanian said in the release.